We are looking for U.S. organizations that are interested in acting as volunteer hosts for 2-3 incoming professionals for a 4-week internship program at their U.S. workplace. 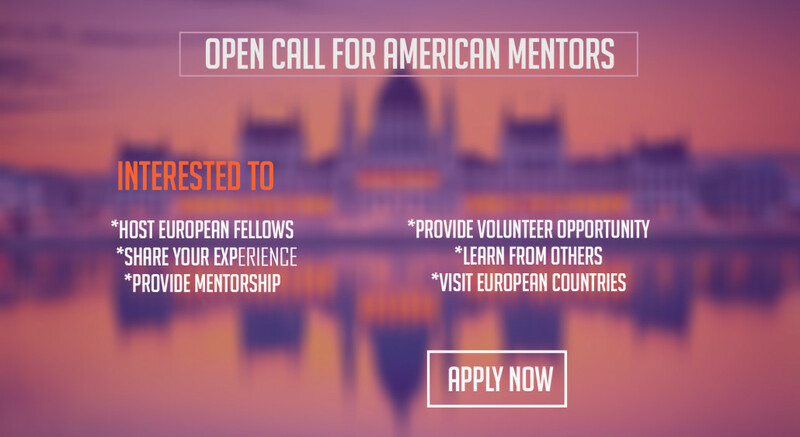 They should be able to provide a professional development opportunity for up-and-coming and mid-level professionals from Central and Eastern Europe and help them learn American methods in sustaining civic participation in minority communities while comparing experiences. Host organizations are also asked to place the guests with volunteer host families where they will learn about American culture and family life and can become involved in volunteer activities in their host family’s own community. U.S. host organizations will work closely with WSOS/ Great Lakes Consortium in planning and implementing the internship program. Participation in this exchange from the U.S. side is a multi-phase program. 36 participants (9 from each selected European country) are included in two delegations: the first delegation will be from April 19 – June 2, 2017 and the second delegation will be from October 4 – November 17, 2017. A portion of fellows’ visit consists of a 4-week internship experience between April 24-May 22 or October 11-November 8 at various host sites across the U.S. . European participants are professionals between 25 and 40 years of age, who are creative and innovative, have accomplishments in solving issues in minority communities, and who can make a large impact with implementing new ideas and changes. Participants will have good organizational and management skills, be active members of their local community, be interested in long-term international cooperation, have good communication and presentation skills, and be receptive to modem technology. The internship experience will be tailored to the individual fellow’s background and interest. 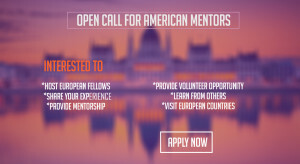 All European participants speak English well and will be carefully selected by an international selection committee. Organizations & mentors who hosted before should contact directly Elizabeth Balint at glc_teachdemocracy4@hotmail.com for a different application form.